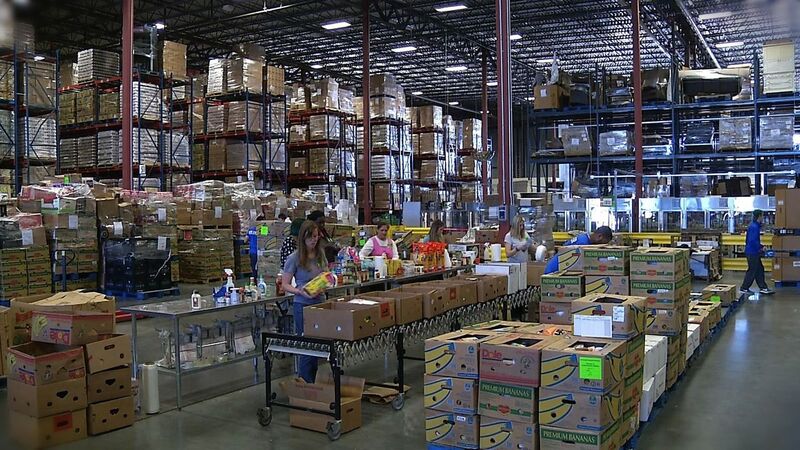 St. Mary's partners with Second Harvest Heartland to provide nutritional food and fresh produce to thousands of children, families and seniors throughout Minnesota and western Wisconsin. Every dollar donated to this program provides enough food for three meals, and 94% of every donation goes directly to serving those who are hungry. All people deserve to eat, regardless of the choices they’ve made or the hands they were dealt in life. No one can grow, maintain good health or reach their full potential if they are hungry. A surprising number of our neighbors are doing something they never imagined – visiting a food shelf for the first time in their lives. Studies show 1 in 10 of our neighbors goes to bed hungry each day. Hunger impacts working families, children, seniors, and even college students. Food insecurity is a growing problem. St. Mary's is committed to helping relieve hunger in our communities. Learn more about hunger in Minnesota and Wisconsin. 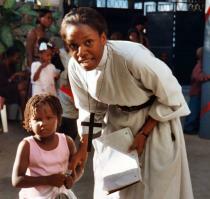 St. Mary’s is actively engaged in an ongoing Mission Partnership with the Society of St. Margaret, an Episcopal Religious Order, to help sustain a scholarship program for children and young people in Haiti who otherwise would be forced to drop out of school for lack of ability to pay even minimal fees. 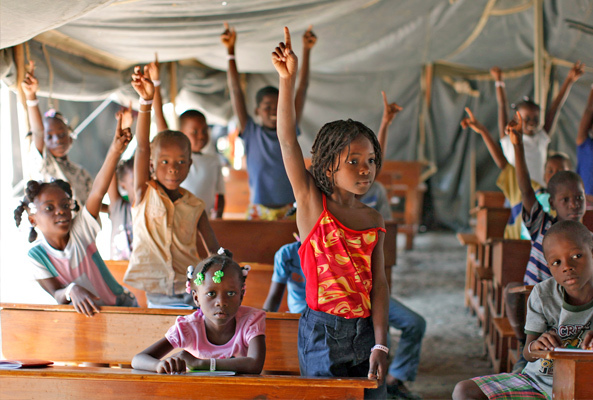 Haitian children are not provided with free, public education as we are in the United States. These scholarships support any child in any school that is in danger of having to drop out because they cannot pay the modest fees required to continue their education. Since the 2010 earthquake and its aftermath, this Scholarship Program has become a major pastoral and outreach mission. Education is a precious privilege – the door to the future for Haiti and Haiti’s children. The cost of tuition from pre-school to the end of secondary school varies from $250 to $1000 US dollars per child per year. St. Mary's Church has donated over $5000 to help transform the lives of Haitian children and bring them the gift of hope. Learn more about our mission partner in Haiti.